From Mogok, Myanmar (before the trade embargo). Although often "ruby-red", spinels can occur in a wide range of brilliant colors - as can be seen from the images. Spinels can also be found colourless, in pink, orange, purple, black, green and the ultra-rare and desirable cobalt blue spinel, said to be of unique color. Pink spinels are also known as balas rubies. In ancient times, all red gems were referred to as rubies, and it is only in the modern age that tests of hardness, density and optical properties can properly distinguish the stones. However it is interesting to note that in Myanmar (once called Burma), which has been one of the sources of high quality spinels, the spinel and the ruby were distinguished as separate stones as early as 1587. Spinels are mentioned ("Spinella") in many 16th and 17th century Latin texts, such as the 1653 "Lexicon Philosophicum" of Johannes Micraelius, which lists several gemstones including diamond, sapphire, ruby and chrysolite. 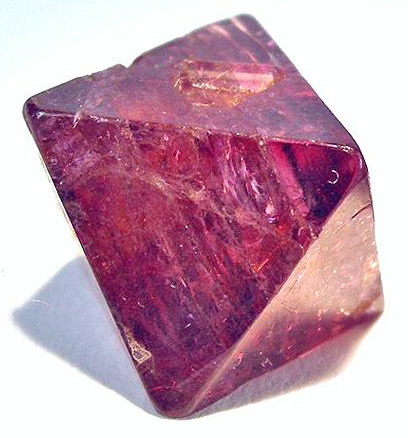 Elsewhere, several writers of that era state that the ruby is sometimes called a spinel. ("Post hunc laudatur rubith, quem subinde spinellum appellitant.") It seems likely, then that a 'separation' occurred, with red spinels being misidentified as rubies and spinels of other colors being considered spinels. With such a range of colors, rarity, high brilliance and hardness of 7.5 – 8.0 (Mohs), spinels are considered very desirable gemstones. Another variety of spinel is the pleonast, which was sometimes used in the 19th century for mourning jewelry on account of its dark color. 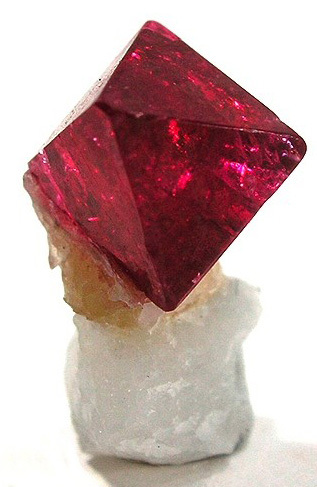 Above: Red spinel on calcite matrix. From Mogok, Myanmar. 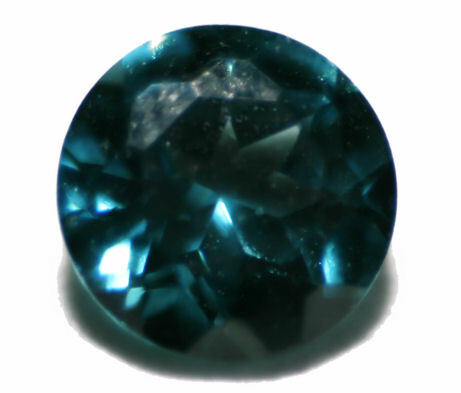 Spinel is 0.8cm across. 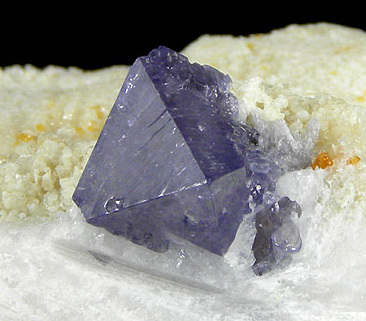 Above: Blue spinel on marble and chondrodite matrix. From Afghanistan. Main crystal 0.8cm across.